Kevin Gavagan, assistant director of engineering at Four Seasons Resort Maui at Wailea, lives and breathes Hawaii. That’s why it’s no surprise that he’s been leading cultural garden tours at the resort since 2001. 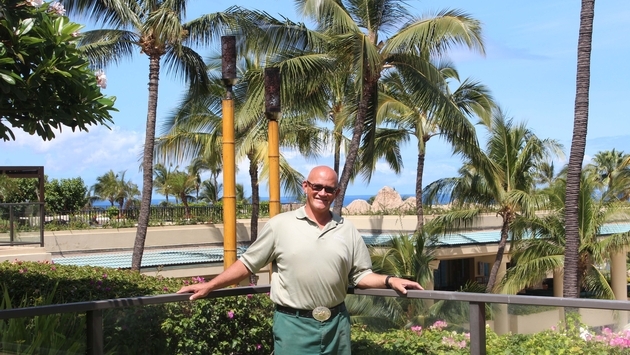 Gavagan, who also oversees the grounds and landscaping team at Four Seasons Maui, grew up on a farm in Kula, Maui. He said he took a botany class when he was young and it inspired him to study horticulture. He graduated from the University of Hawaii with a Bachelor of Science in horticulture. I was lucky enough to go on the cultural garden tour with Gavagan when I visited Four Seasons Maui in late April. And, believe me, when it comes to plants or Hawaiian culture, Gavagan is your man. Gavagan talked about a wide variety of things during my cultural garden tour, including: Maui’s “Red Earth” district; the exotic, indigenous and endemic plant species of Hawaii and Maui (including the island’s endemic sandalwood genus, Santalum ellipticum); Hawaii’s May Day; ancient Hawaiian chants, songs and rituals; and the efforts of Four Seasons Maui and Four Seasons Hotels and Resorts to collectively plant 10 million trees worldwide. Heck, Gavagan even played a Hawaiian nose flute and played ukulele while a hula dancer accompanied him. As the tour went on, Gavagan noticeably grew more animated, a prime example of how passionate he is about what he teaches. He talks about the people of Hawaii in the same way he talks about the plants of Hawaii; in that, both are living, breathing organisms. "Plants have always been interesting to me in an aesthetic sense," Gavagan said, “but now I am more interested in the stories they tell, their ethnobotanical relationships." Gavagan has led Four Seasons Maui’s Hui O’Mao, or “Green Team,” for years, but in the last year he’s focused on more than the team’s basic green efforts, such as recycling or reducing waste. 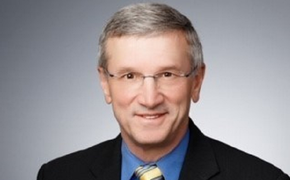 Now, he tries to truly foster cultural awareness for resort employees and guests. "I want people to know Honua'ula (the “Red Earth” district on which the resort lies) for what it was and what it is,” Gavagan said. “I've found that giving people a cultural sense of place makes them want to take care of the land." In addition to leading Four Seasons Maui’s Hui O’Mao, Gavagan participates in Four Seasons Hotels and Resorts’ initiative to plant 10 million trees worldwide. He has made three trips to the island of Kaho'olawe so far (which was used for U.S. Navy testing for decades), helping plant approximately 8,000 trees in the process (the resort’s goal is 10,000 trees). Music is a big part of Gavagan’s life, as it is for many Hawaiians. Because ancient Hawaiians didn’t have a written language, chanting and dancing was their form of communication, as well as a source of energy. “I think of back when I was a kid and my aunties and uncles used to play for me,” Gavagan said. Gavagan also believes Hawaiians are beginning to rediscover their culture after being under the control of plantation owners and capitalists until U.S. statehood in 1959. He talked about how far removed Hawaiians used to be from their authentic culture. For example, his mother used to admonish him using Hawaiian words and he grew up thinking they were simply different ways of saying his name. And, by the looks of things, Gavagan has become a key figure in fostering that rebirth. Gavagan and his team have set up a website educating people about the plants and stories of Hawaii at www.InOurGardens.com. For more on my cultural garden tour with Gavagan, click here.